Shooting Rubberbands at the Stars is the debut album by the American alternative rock band Edie Brickell & New Bohemians, released in 1988. The album went 2x platinum in the United States. "What I Am" was the lead single and big hit from the album, reaching #7 on the Billboard Hot 100. The follow-up single, "Circle," was about strained relationships. Although described by author Brent Mann as "the perfect follow up single to 'What I Am'" and which "had 'smash' written all over it," it stalled at #48 on the Billboard Hot 100 and fared slightly better on the Billboard Mainstream Rock chart, reaching #32. Another song from the album, "Little Miss S." was inspired by Edie Sedgwick and reached #38 on the Mainstream Rock chart and #14 on the Modern Rock Tracks chart. What I Am "What I Am is a smart-alec's way out of a deep discussion on the universe as it relates to the self." Little Miss S. "Little Miss S. is just another one of those famous dead people." Air of December "People change & affect you just like the weather." The Wheel "Your kind's always gonna be a-round." Love Like We Do "We're broke & we're ugly." Circle "That weird lost feeling can get you even when you're hangin' round with friends." Beat the Time "Time Divides." She "She's just about a homegirl." Nothing "There's something about nothing – but it's nothing I wanna talk about." Now "When your heart occupies your head." Keep Coming Back "Some people get right on your mind & just stay there." I Do "I Do is a song for my cat." Both Chris Whitten and Paul "Wix" Wickens were/are members of Paul McCartney's Band. Whitten, from 1989-1990, and Wickens from 1989-present. Tracks 6 & 8 published by Geffen Music-Withrow Publishing-Edie Brickell Songs. Tracks 11 & 12 published by Geffen Music-Edie Brickell Songs. All Other Tracks Published By Geffen Music-Strangemind Productions-Enlightened Kitty-Withrow Publishing-Edie Brickell Songs. "Shooting Rubberbands at the Stars is almost impossible to be cynical about (I tried)," remarked Time Out, "and the band are so likeable it's almost unreal." ^ Christgau, Robert (December 27, 1988). "Consumer Guide". The Village Voice. New York. Retrieved April 13, 2013. ^ a b c "Shooting Rubberbands awards". Allmusic. Retrieved 2014-04-29. ^ a b McCartney, K. "Shooting Rubberbands at the Stars". Allmusic. Retrieved 2014-04-29. ^ Mann, B. (2003). 99 Red Balloons And 100 Other All-Time Great One-Hit Wonders. Citadel. p. 33. ISBN 9780806525167. ^ "australian-charts.com Edie Brickell and New Bohemians - Shooting Rubberbands at the Stars" (ASP). Australian Recording Industry Association. Retrieved 2011-10-23. ^ "Edie Brickell and New Bohemians - Shooting Rubberbands at the Stars – austriancharts.at" (ASP) (in German). Retrieved 2011-09-18. ^ "dutchcharts.nl Edie Brickell and New Bohemians - Shooting Rubberbands at the Stars" (ASP). dutchcharts.nl (in Dutch). MegaCharts. Retrieved 2011-10-23. ^ "Album Search: Edie Brickell and New Bohemians - Shooting Rubberbands at the Stars" (ASP) (in German). Media Control. Retrieved 2011-10-23. ^ a b "Hit Parade Italia - Gli album più venduti del 1989" (in Italian). hitparadeitalia.it. Retrieved 2011-10-23. ^ "charts.org.nz - Edie Brickell and New Bohemians - Shooting Rubberbands at the Stars" (ASP). Recording Industry Association of New Zealand. Retrieved 2011-10-23. ^ "Chart Stats - Edie Brickell and New Bohemians - Shooting Rubberbands at the Stars" (PHP). UK Albums Chart. Retrieved 2011-10-23. 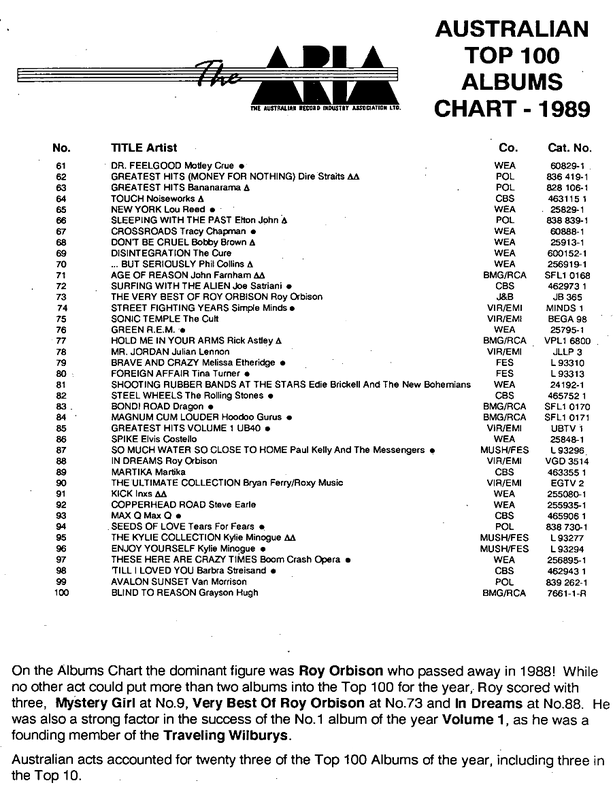 ^ "The ARIA Australian Top 100 Albums Chart – 1989 (61–100) (from The ARIA Report Issue No. 1)". Imgur.com (original document published by ARIA). Retrieved 2017-04-29. ^ "RPM Top 100 Albums of 1989". RPM. Archived from the original on 2013-12-31. Retrieved 2011-10-03. ^ "Billboard.BIZ". billboard.biz. Retrieved 2011-10-24. ^ "American album certifications – Edie Brickell – Shooting Rubberbands at the Stars". Recording Industry Association of America. If necessary, click Advanced, then click Format, then select Album, then click SEARCH. This page was last edited on 27 February 2019, at 18:11 (UTC).